The large-size valve seat rapidly discharges initial air. The float responds with great sensitivity to condensate levels, automatically closing the valve and thereby eliminating the need for manual labor. 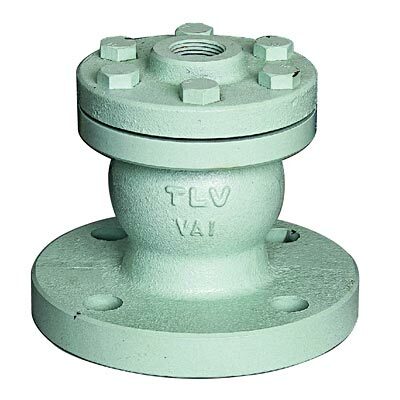 The grounded float and rubber valve seat prevent leakage (VAS series). For use where the discharge of large quantities of initial air is required. 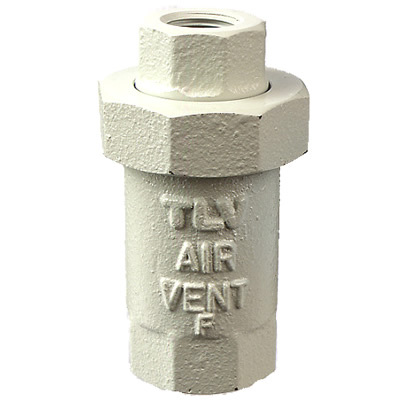 Once the valve closes, it remains closed even if air enters. Also install an automatic air vent if it is necessary to discharge air during operation. Water lifting pumps, fire-extinguishing equipment, water transport lines, water storage tanks, hot water tanks, holding tanks for liquids.